How do I go about fixing these issues and how serious are they??? In the US or Albania? How long ago did you buy it? I would get the selling dealer to fix these issues if done recently. They probably cleared the codes just before selling it to you. When I bought it I had 3 months warranty and luckily I still have some time left so I took it back. Hopefully they fix it and dont just clear the codes and I have a feeling they did this before selling it. How serious are these problems though? I mean the things you mentioaned are very vague, but I can guess you need a new dpf, which are very hard to get a hold of. A 02 sensor and probably the adbkue heater. It's the beginning of a laundry list of serious problems. If possible ask them to take it back. It's a sacrifice and an understanding you'll have to gauge yourself to see if it's worth keeping. 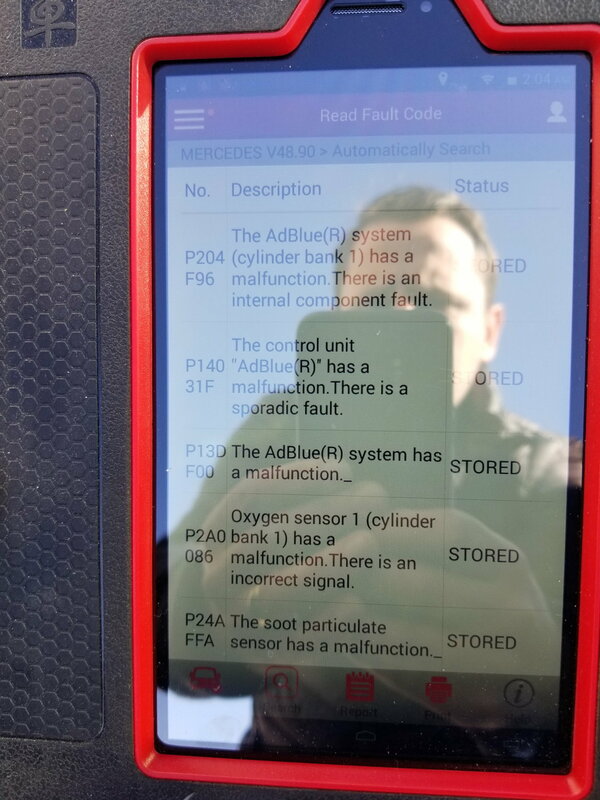 -Adblue control unit malfunction (sporadic fault)? To add salt and pepper to the wound - parts are very expensive. Roughly you might be facing DEF tank and DPF replacement. We are talking north of $8000. Get the codes and keep on top of your warranty. Buy ScanGauge who will allow you read soot level and DPF regeneration. are you familiar with these codes ? These are generic obd2 codes. Youll need a mb specific scanner to get the in depth knowledge that you'll need to find out what's going on. I've read somewhere online that you can just turn off Adblue ?? is that true and if so would all of these problems go away ? do you have emissions testing in your province? Not so easy in Canada I hear. OBD codes have 4 digits after "P" and I can't make anything from what you posted. Do you have description on your scanner? Can you take a picture? If you turn DEF off, the computer will put car in countdown. You will have 10 starts to fix the issue, or car becomes the brick. Now let's talk about the warranty. Can you get your money back? Doesn't look like this is going to be easy, or cheap fix. If the seller refuses, take the car to dealer and have them estimate the repairs. Now we can see whole code number. All those are stored codes, so they can't trigger CEL. What does? Anyway, so many codes indicate lot of troubles with that car and as I said -not cheap ones to correct. When i bought my new diesel I thought I was pretty smart. Great fuel economy, lots of torque, engine that will last hundreds of thousands of miles with proper maintenance. I wish I had known what I now now. Sorry for your troubles, but I would never buy a used diesel car of any brand unless it was almost free. My 4 year old ML is about to exit the factory warranty and it's worth less then a third of MSRP. For the last 6 months it has been nothing but trouble. Just got it back from the dealer for the second time in the last 6 weeks. I have zero confidence that it won't let me down. I know it won't matter but I'm sending a letter to MBUSA to tell them how I feel. I have bought 3 new MB cars in the last few years and will not buy another. The only gasoline engines I have are boat and generators. Diesel for long years was for my family the cheapest way for transport and even now- with low driven miles they might not make economical sense, but I still like them. The 440HP engine in my F350 is a beast (who I can't hear in the cabin), while 40 mpg quick MB cruisers are really desirable. In last couple of years new tools come on the market, so it is much easier to monitor DPF regeneration, what was main issue in the past. DEF tanks might be low-reliability items and it is really bad that small part inside require whole tank replacement, but than worse come to worse, even if you spend couple thousands on part every few years, you will get your money back in fuel savings and smile on the face. Lot of gasoline W211 have similar issue with fuel tank replacements. Than more and more tuners offer DPF and DEF delete. This is gray area, but becomes valid option. Still dealing with all that takes lot of homework. Last edited by kajtek1; 03-22-2019 at 03:58 PM. Hey buddy thank you for the reply. So if I understand correctly I can just find a tuning shop and just delete dpf and def?? Would that cause any issues to the car though ? If not than I would consider it since I've read replacement for those is very experience and I just bought it!!! So what happen to the warranty? Read the topics about DPF delete. It works when it does, but so far each tuner who takes the job -has some problems down the road. Than you did not fill up your location, so we don't know if you have to smog your cars? Your opinion is carbon-copy of how I feel as well. This MB is our first, but will also be our last. Same goes for our BMW, btw. You think that by paying more for a name, you at least get that legendary reliability that these manufacturers "were" known for for. But you don't. I really am curious to see how our BT holds up after the deletes, spin-on oil filter and high-zinc oil. 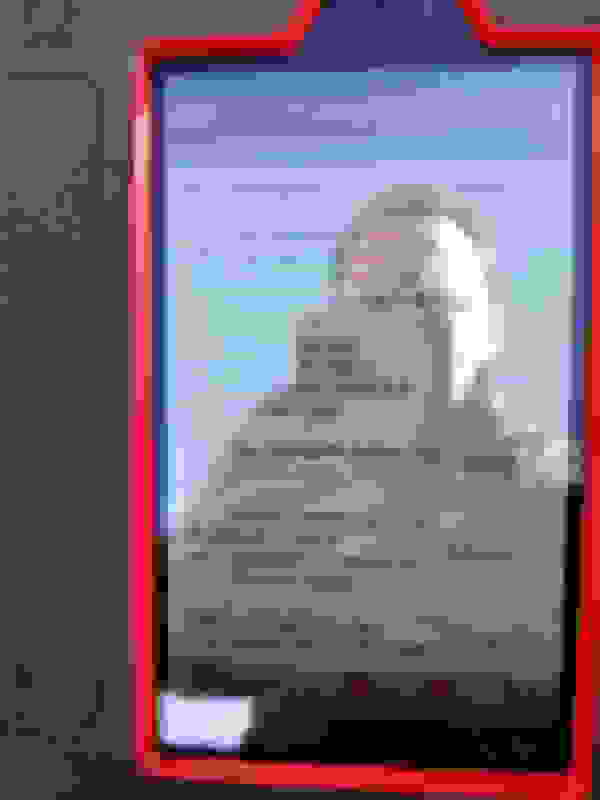 Last edited by peter2772000; 03-23-2019 at 07:41 AM. You guys started driving MB diesels too late. I started with W123 and when I sold it for $3000 with 300k miles, now looks like it might be worth double what I sold it for. Just last year my father donated perfectly running 30 years old W124 with 300k as well. Nobody would offer $2000 for it. I had 3 of W210 diesels in my family and had contact with 2 buyers. Those cars are probably over 300k miles or way above. Ross on other forum drives W211 E320 cdi and at short of 1/2 million miles - he had to rebuild transmission. I still have faith in German engineering and to my knowledge the OM651 short blocks are bulletproof. it is the US-forced emission system that has baby teeth. Doubt the diesel 40-50 mpg can be improved by much. Last edited by kajtek1; 03-23-2019 at 11:09 AM. Which shop?. My tune cost me $1400 including a custom bypass for the DPF using my flanges. And no, fixing that crap will allow it to come back at you in a couple of years. It's a shop North of Edmonton. So it's not worth doing then since itll come back? Quick Reply: I'm I in trouble? !